When David Cairns asked if I would write about The Inn of the Sixth Happiness (1958, Mark Robson, 20th Century-Fox) as part of his Shadowplay blog’s Late Films Blogathon, I mentally braced myself. It’s fair to say I’ve been avoiding this film, but yesterday I made myself sit down and watch. And I haven’t been able to stop thinking about it ever since. 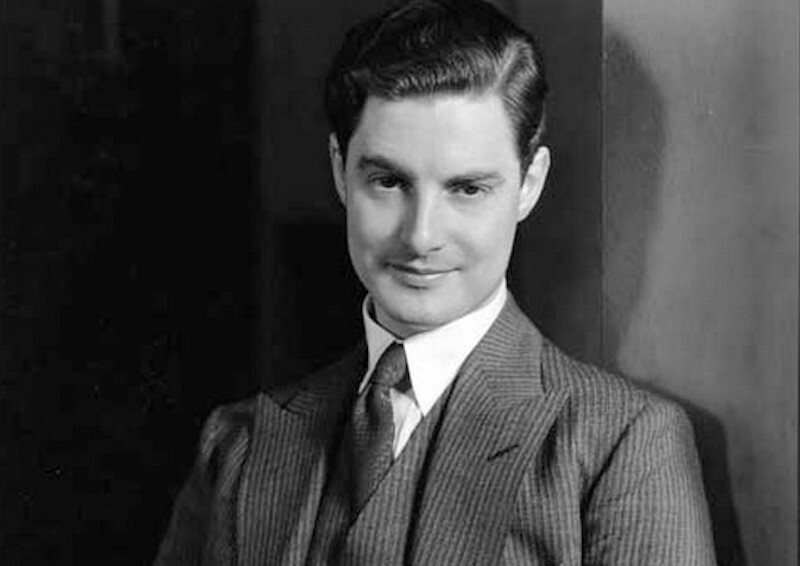 I need to tell you I can make no claims for objectivity in this piece: it’s impossible to be a fan of Robert Donat’s work without developing a deep affection for the man. He was that kind of actor (and, no doubt, that kind of man). And this, after all, is his website. The Inn of the Sixth Happiness was Robert’s final film, made when he was gravely ill. Just a few short weeks after completing his work on it, he died. Robert’s remaining strength, I think it’s true to say, he gave to this film. Gladys Aylward believed God had called her to be a missionary in China, but her background as a domestic servant meant she was unqualified to go through the official channels. So, she saved her wages and went at her own expense, arriving at Yang Cheng to work with experienced elderly missionary Jeannie Lawson (Athene Seyler) and her servant Yang (Peter Chong) at the Inn of the Sixth Happiness. The Inn takes in passing travellers, feeds them, gives them a bed for the night, and tells them Bible stories in Chinese. 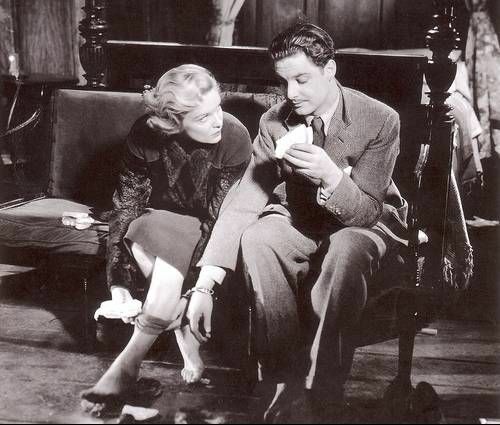 After Mrs Lawson’s death, and lacking money to continue her work, Gladys accepts the position of ‘foot inspector’ for the local Mandarin (Robert Donat) so she can keep the Inn open. She travels the local villages persuading the people not to bind the feet of their women and girls and becomes an advocate for the Chinese people involving herself in other disputes on their behalf. Through her work she wins their respect and affection, and that of the Mandarin and Captain Lin (Curd Jürgens). She becomes a Chinese citizen and is given the name Jen-ai, ‘the one who loves people’. When the Japanese attack Yang Cheng, Jen-ai takes 100 orphan children, (accompanied by a very young Bert Kwouk, in his first film) over the mountains to safety. The real Gladys Aylward was furious, I believe, with some of the liberties taken with her life story and her association with ‘that wicked woman’ Ingrid Bergman. We are asked to accept Bergman as an English woman, Robert Donat as a Chinese man, Curd Jürgens as a Eurasian who supposedly looks more Chinese than white, and Snowdonia as China. I lived in North Wales for a time and it was rather distracting trying to location-spot, though in the end I had to concede that, probably, one mountain looks pretty much like another, and the Chinese-style sets create the atmosphere appropriately. Ingrid Bergman doesn’t even attempt to sound English, but she manages to make a character who could appear insufferably saintly very likeable and human, and her scenes with Robert, in particular, are extremely touching. Curd Jürgens is a rather uncharismatic love interest, he and Bergman are necessarily chaste, and there is little chemistry between them, but blazing passion would have been all wrong. And so to Robert as the Mandarin. He doesn’t look Chinese, despite the costumes and make-up, but it doesn’t matter and nor, really, do all the other inaccuracies (though there are endless reviews online where people grind on and on about them). He is the Mandarin, remote and forbidding at the beginning (dubbed into Chinese in some early scenes) who grows to love Jen-ai, whereon he’s actually a little mischievous and exudes the Donat warmth and charm in abundance. Throughout the 1950’s, Robert’s health had been in steep decline. He made The Magic Box in 1951 and then was unable to work again until 1954 (Lease of Life, and on stage as Becket, giving perhaps his finest performance at The Old Vic in Murder in the Cathedral). By 1958, Robert’s breathing difficulties and asthma attacks were extremely debilitating. However, that was not the only battle he was fighting. It was found, when he died, that he had a large brain tumour. Mark Robson, interviewed in 1958 (from Kenneth Barrow’s biography of Robert Donat*). My late father was of that generation. He fought in the Second World War, then quietly filed it away and never spoke of it again (until his later years and even then, only snippets). Of course there are courageous people today, but there was a remarkable fortitude, an almost unimaginable bravery and dedication embedded in the people of that time that we can find difficult to understand today. Gladys Aylward seems to have had it, and so did Robert Donat. You see that immense bravery and Robert’s absolute dedication to his craft so clearly in this film. He is obviously not well. In some scenes, his speech is thick, and his once magnificent voice can no longer perform with its old power. He walks hesitantly. Robert was only 53 (not much older than I am), and to see this fine, fine man brought so low is devastating. And yet, his performance as the Mandarin is never pitiful: the truth of the character and the truth of the story are there in his portrayal, his presence fills his scenes as it always did but now with added poignancy, and his final scene with Ingrid Bergman, where the Mandarin tells Jen-ai he has become a Christian and bids her farewell, is perhaps the most genuinely moving you will see on screen. Because it is the most real. It’s all perfectly in character, but we are watching a great actor saying his final goodbye to his audience. He knew it and so did Bergman. Ingrid Bergman, interviewed in 1958 (from Kenneth Barrow’s biography of Robert Donat*). © Gill Fraser Lee, all rights reserved. Oscar-winning director Martin Scorsese is in the UK at the moment promoting his latest film, Hugo, which, it was announced today, has been named best film by the National Board of Review in the US. We’ve been delighted to see that Mr Scorsese has referenced the inspiration he took from Robert Donat’s 1951 film, The Magic Box, in his interviews. The Magic Box, produced and directed by John Boulting, is a biopic telling the story of British cinema pioneer William Friese-Greene. It was the film industry’s contribution to the 1951 Festival of Britain. The great honour of starring as William Friese-Greene was offered to Robert, who accepted and gave film audiences their first sight of him in Technicolor (shot by Jack Cardiff). Many of the leading British actors and actresses of the time filled the film’s minor roles, including Laurence Olivier, Margaret Rutherford, Richard Attenborough and Eric Portman. The screenplay was by Eric Ambler from Ray Allister’s biography. Check our new Where to buy page to source your copy. Indie London‘s Rob Carnevale has very kindly allowed us to reproduce his recent interview with Martin Scorsese. MARTIN Scorsese talks about some of the inspirations behind his new movie Hugo including the films that first captured his imagination as a child going to the cinema. He also talks about working in 3D for the first time and why he feels he would like to do it again and where he sees the future of cinema as well as its history. Q. This is about the power of movies to inspire people. Can you remember the first time you sat in the cinema and were really inspired by a film? Martin Scorsese: I think for me movies, for a long period of time, were a refuge, in a way… I have to say that because of having asthma I was not allowed to do… it was 1944-45 and I wasn’t able to do anything sporty or with animals. So, I was pretty much taken to the movie theatre very often and I saw many films in the ‘40s and became in amid of the Western genre because what I couldn’t go near, or be near, there it was on the screen. And I started making my own little drawings… almost like a comic strip. But the film that I think created the biggest impression on me about film and about filmmaking – the one that prompted me to say ‘maybe you could do this yourself’ – was The Magic Box. My father took me to see that in ’52 when I was nine or 10-years-old. The thing about that film was not just the moving image but it was the obsession and the passion of the people at that time. It told the story of [the inventor of the first movie camera] William Friese-Greene, played by Robert Donat, who invested a lot of sweetness in the character and yet he was a man who was so obsessed that his life was destroyed by it. There was something about that film, the love, the passion, that he had for the potential of this new machinery… coming at a time, too, pre-World War I, at a time when the whole world was experiencing major change up until 1914 or so. It was going to be such a different society – HG Wells, Jules Verne, you know – and so cinema… something happened when I saw that picture. And it has that wonderful scene in it, too, with Lumiere’s the train coming through the station. So, that was the first time and at home I started drawing more pictures… pictures that moved. But there was something about the beauty of his obsession with the potential of the mechanism itself, the creation of celluloid… of course it’s all different now with digital but it’s still about telling stories with a moving image. Q. The film comes across as a love letter to silent movies and to that embryonic period. How important is it to you that today’s generation recognises where movies came from? And how important is it that film as an entity is preserved? Martin Scorsese: Well, I think that the problem isn’t so much with this generation, it’s the same with every generation, which is the obligation of the one before to inform and to expose the next generation to the great art of the past… great, good, possibly good, maybe not very good! But to a certain extent that goes with everything. I think there are many painters who study the old masters in museums, as well as theatre, language and, of course, literature. I guess there might be a school of thought that we don’t have to see anything of the past to express yourself artistically… to write a novel, to write a play, to make films. Or rather, I do know… I think if things run their course it’s going to be something that’s not going to stay on the stage – I should say on the wall – but something that’s going to be moved out to the audience in many different ways. And that could be a very low budget independent film or it could be a film that cost a great deal of money. But I do think it’s important to make younger people aware of what came before in every aspect of every art form. And it’s exciting too because as you do that, very often as you’re working with young people or students mentoring them, the ideas you get from them… I get a lot out of them… whether I’ve expressed it correctly or not I don’t know. But I do get a kind of regeneration of that… to see that excitement sometimes. I mean we showed Asa and Chloe The Magic Box and we gave Asa Yojimbo. Martin Scorsese: You know, I have no idea about The Artist. I mean, I understand it’s a silent film in black and white. But again, a lot of this has to do with timing I think. I don’t know what’s going on in California. I live in Manhattan. So, I had no idea these films would be coming out at the same time. The thing about the silent cinema, you have to understand, is that while there was a great response to it, that was one kind of cinema… but when cinema started, everybody wanted sound immediately and depth. The Lumiere brothers made several films in 3D. And they’ve been restored. I saw them. They were made in the ‘20s. Eisenstein was working on 3D when he had his heart attack… can you imagine Eisenstein films in 3D? Can you imagine what they would have done? Can you imagine the mind of someone like that? Orson Welles created something in 3D. So, for me… look, more than 90% of silent films have gone anyway… they’re gone and continue to go. Nobody cares about them. If you really see a silent film in its original form, like the restorations that Kevin Brownlow did of Rex Ingram’s pictures… if you look at The Four Horsemen of the Apocalypse at the proper speed. I mean, it’s another language completely. At times the acting is extremely modern, too. But one has to get into that mindset to see it. I think I saw a few silent films as a kid but they were always scratched up and they were jumping around. I didn’t understand what the attraction was aside from the moving image itself. I don’t think there’s anybody around now who really experienced that era of silent cinema. But I wonder if, as you say, the possibility of several films being released at the same time is maybe an appreciation and getting back to the roots of how this all began. Q. Did you adjust any of your work ethic to direct in 3D? And is it something you’d like to take into your future films? Martin Scorsese: Yes it is something that I’d like to take into my future films. I just happen to be a great admirer of it because when I first saw those new masters, as I said earlier, I was taken into another space as a child and tapping into that imagination of a child is the same thing that I depend on and look for whenever I make a film. It has to be there every day… that thrill and the imagination. Somehow seeing those first stereoscopic images has that… and maybe my last connection to childhood imagination is that feeling and so I’ve been fascinated by 3D all my life. If it’s used appropriately for the story, then why not? [It’s] the same as colour or sound or a big screen. As I’ve always pointed out, for a long period of time colour was something really special. At first, everybody complained about it until 1935 when they got it right, with Technicolor. Then by 1970 it was announced that every film would be made in colour and we were all appalled because what about some of the great films that came out of England in the late ‘50s and early ‘60s that were made in black and white? This is what we were aspiring to. And so somehow colour became, through the demand of the audience and through a generation that grew up not on black and white films, just became natural. It became part of the story and part of life. But yes I would like to deal with 3D as an element in the future. The equipment is getting much more flexible, and they’re working on ideas to get rid of the glasses, so why not? © Rob Carnevale, Indie London, all rights reserved. This interview and the image of Martin Scorsese may not be reproduced without permission. For more on Hugo, we recommend the Self-styled Siren’s excellent review.